It was such a privilege to photograph Toby. 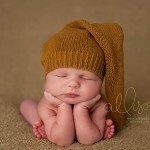 His mom has wanted to get her babies pictures done forever and she finally got her chance (due to her sweet family) with her new baby Toby! He was such peanut to work with. I hope that you enjoy these forever and ever Janette! Are you ready for this massive post of this darling little girl. I just could not stop editing her cuteness……. really. She was such a sweet 6 month baby to photograph. Her parents are super lucky to have such a wonderful girl. Enjoy!! Harper was one busy 1 year old that didn’t particularly love getting her photo taken. What a funny girl. She loved to know what everything was and kept saying “what’s that?”. So funny. Managed to sneak a few outta her. : ) This is Nolan her brother. Meet Milo. What a cute name!!! 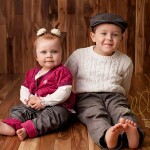 His sister’s came at the end of his session and how cute were they! So fun that they have a brother now….. so special. He was a darling little guy- don’t you think? I enjoyed my afternoon with him and his mom. © 2010 UrbanAlli Photography|ProPhoto Blogsite by NetRivet, Inc.